In any discipline, attention to detail is a valuable asset. This especially rings true within the insurance industry where details can mark the difference between adequate coverage and exposure to risk. Agents at Greenlee Compton Insurance maintain focus on these details, turning a challenging aspect for most agencies into an advantage. We offer clients more than five decades of experience securing insurance solutions. Through this experience we’ve gained a true appreciation for listening and dialing in on exceptional customer service. Only after completing these necessities can we ensure a proper policy is produced. As an independent insurance agency, we work with a selection of national carriers to provide a wide-range of coverage options. Our partnership with established carriers, such as Auto-Owners Insurance, Hanover Insurance, and Safeco Insurance, confirms reliable insurance products are backed by the companies we represent. The plethora of insurance coverages available can be overwhelming for individuals and businesses alike. An insurance agent acts as a guide throughout this process. We begin our process by first listening to your needs. If you’re looking to safeguard a residence or vehicle, our personal insurance program may be a fitting destination. For companies striving to secure a business owners policy (BOP), we’ll direct representatives toward our commercial insurance program. We also specialize in designing business insurance solutions for specific industries, including restaurants, car washes, and utility companies. Once fitting coverage is determined, agents can match needs with cost-effective coverage from our carriers. On-going service extends even after the policy is in place. Agents continue monitoring policies to ensure rates remain competitive and coverage is accurate. For more information about the personalized insurance packages we offer, contact our agency at your convenience. Times have changed since our agency opened shop in Canal Winchester in 1987, including a move from our original location. 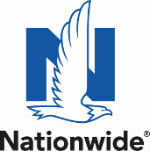 In 1992, the agency transitioned to Pickerington and later opened the Granville office in 2008. Although the address has altered, the foundation of quality, accessible customer service remains. The difference is truly in the details. One such detail incorporates agency-wide accessibility. We remain focused on our clients even away from the office. As a result, turnaround times are reduced and we’re available to clients 24 hours a day. Along with our commitment to insurance, we’re also committed to the community we serve. This encompasses a partnership with fellow local businesses through the Granville Area Chamber of Commerce. We’d love to learn more details about your insurance needs. To begin the process of securing coverage, request a quote. 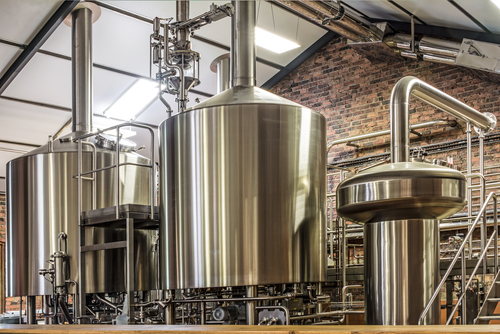 The large production and distribution options expose Craft Breweries to large financial opportunities and risks. Melissa helped my company save money on our Liablity and Auto Insurance. She was very thourough in explaining each policy and making sure we had coverage where needed. She comes highly recommended to anyone needing insurance for their business or home.